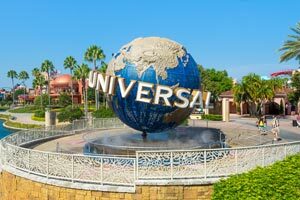 With a stay at Floridian Express International Drive, you'll be centrally located in Orlando, steps from Universal Orlando Resort™ and within a 5-minute drive of Fun Spot USA. This hotel is 1.3 mi (2.1 km) from ICON Orlando and 1.4 mi (2.2 km) from Universal CityWalk™. Make yourself at home in one of the 218 air-conditioned rooms featuring refrigerators and microwaves. Complimentary wireless Internet access is available to keep you connected. Private bathrooms with shower/tub combinations feature complimentary toiletries and hair dryers. Conveniences include desks and irons/ironing boards, as well as phones with free local calls. Enjoy recreational amenities such as an outdoor pool and a fitness center. Additional amenities at this hotel include complimentary wireless Internet access, concierge services, and a television in a common area. If you're planning a day at a nearby theme park, you can hop on the complimentary shuttle. Wrap up your day with a drink at the bar/lounge. A complimentary continental breakfast is served daily from 6:30 AM to 9 AM. The preferred airport for Floridian Express International Drive is Orlando, FL (MCO-Orlando Intl.). This hotel's policy is to accept bookings only from non-local guests. Guests whose residence is within Orange and Osceola counties will not be allowed to check in. Guests can contact the property for additional information using the number on the reservation confirmation received after booking.